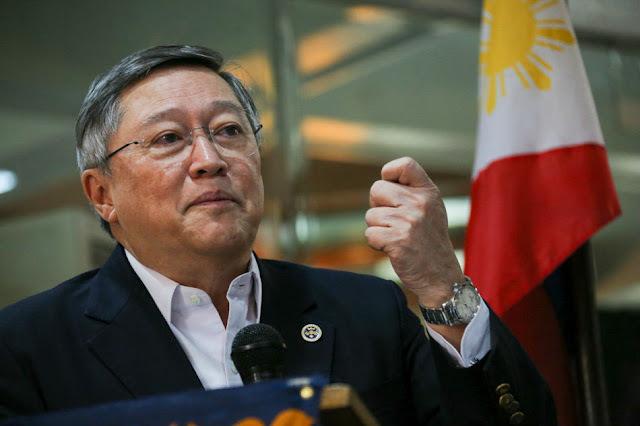 MANILA -- The Philippines has never defaulted on its loan payments so there is nothing to worry about even if the government continues to borrow to finance its infrastructure program, Finance Secretary Carlos Dominguez III said Friday. “First of all, the Philippines has never defaulted in any of its loans. (The) Philippines has not done it. Even in the worst time. And the worst time is right after Marcos when the Philippines had no money. We never defaulted on our loans,” he told journalists in an interview. Dominguez said the government even paid USD2.2 billion for a loan extended to a power plant project of the Marcos government that was never used. He was referring to the mothballed Bataan Nuclear Power Plant, which was programmed to be the country’s source of nuclear energy. Dominguez also countered allegations that the Philippines will fall into a debt trap due to the amount it needs to fund projects under the government’s “Build, Build, Build” program. The Duterte administration has identified 75 priority projects under its infrastructure program and it targets to spend at least PHP1 trillion annually for its infrastructure investments. Dominguez also decried claims by some government critics that the country is using its assets as collaterals to these loans. “There is no collateral in any of our loans to any country or bank. We don’t provide collateral,” he said.